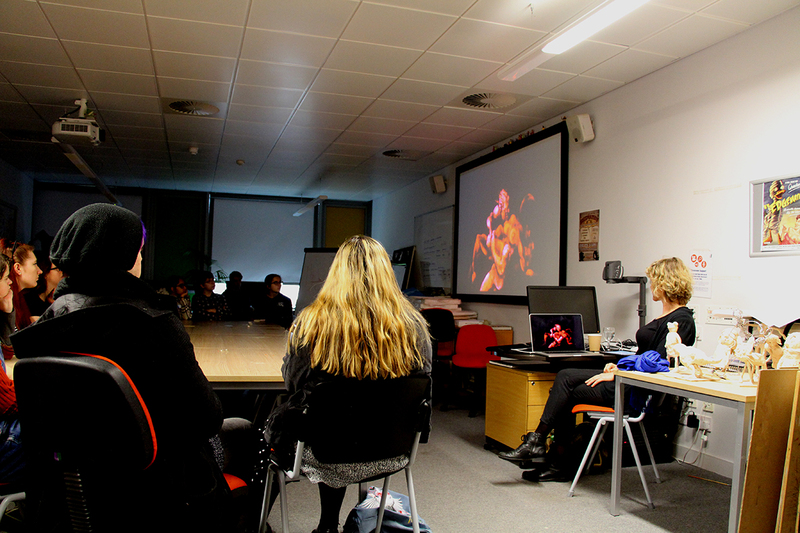 As part of Edge Hill University’s ‘Festival in a Day’, animator Susan Young came to talk to animation and media students on Wednesday morning about her work, experiences and journey as an animator. Susan Young is a BAFTA-nominated animation director based in London. Commissioned films include The Doomsday Clock, a film about multilateral disarmament for the United Nations, Beleza Tropical for musician David Byrne, and Jimi Hendrix: Fire, for producer Alan Douglas. Susan’s film, titles, promos and commercials have been screened worldwide and she has served on several international animation festival juries (including Annecy Animation Festival). Susan has recently returned to drawn animation and the making of Dead Reckoning (2016), is in collaboration with director Paul Wenninger.